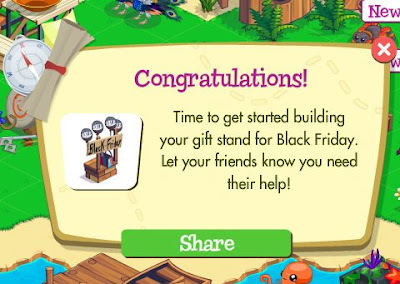 Black Friday -- the biggest shopping day of the year -- has arrived and while people are busting down doors in real-life stores for crazy deals, you can do the same in several of your favorite Facebook games including Treasure Isle. 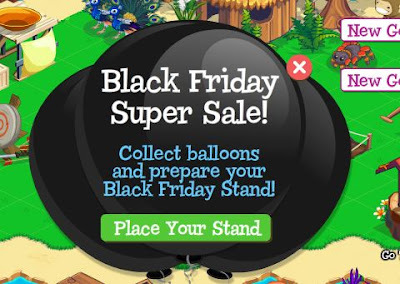 Instead of just offering a straight up discount on virtual items, TI has turned the whole Black Friday experience into a mini-game. 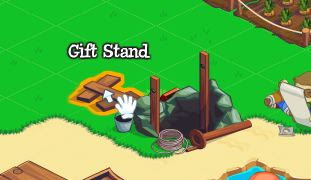 Collect black balloons from friends and then trade them in for in-demand items, like, for instance, an extra garden plot, which normally cost 100 Island Cash (roughly $20). 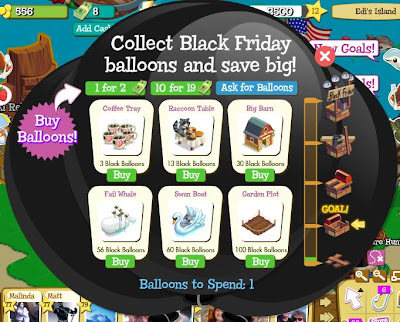 So -- all in all -- begging friends for balloons can be worth your while. (On that note, if any of you would like to send me a black balloon, I'd certainly be tickled pink).